The sand was glistening with the reflections of the sunset in the water when I captured this beach sunset photograph. The sun was peeking out from between the clouds as it made its way down for the evening. 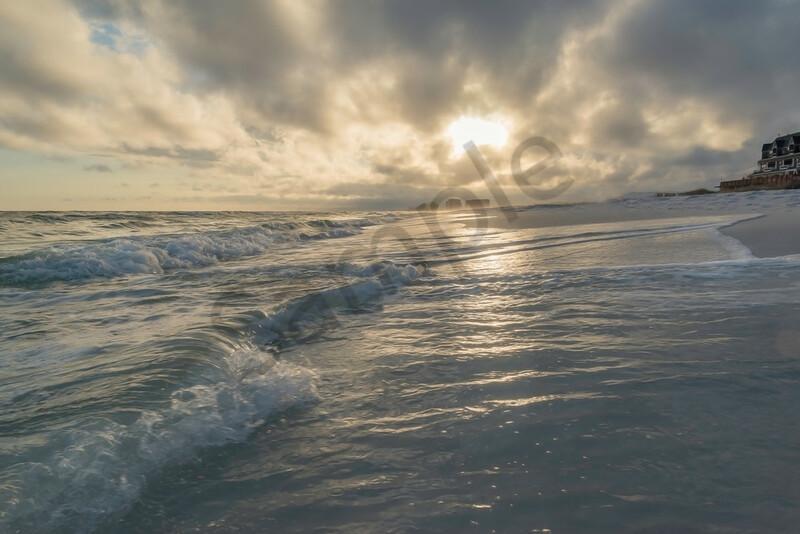 The muted colors in this beach scene print would complement just about any color scheme, and the print is available in multiple mediums and sizes.